Also see Lacewing a general predator. For Bulletins on how to use each of these insects in a biocontrol program see Bulletins. Mealybug Biocontrols - Several releases of Cryptolaemus or green lacewing may be needed especially in winter. "Crypts" are suggested for high levels and in warm, humid conditions and lacewing for more varied conditions. Where "Crypts" are attracted away from plants to skylights and windows, lacewing are better. Lindorus eat mealybug, but need scale to reproduce. At different optimum temperatures Leptomastix complements use of predators against different host stages of citrus mealybug only. Reduce high levels of mealybug with predators followed by wasps or begin biocontrol with Beauveria (Naturalis) or Neem oil before releasing biocontrol agents. Hb nematodes attack root mealybug in soil. Remove ant interference if present. SCALE BIOCONTROLS – Lindorus lopanthae and green lacewing favor soft scale if not too sticky. 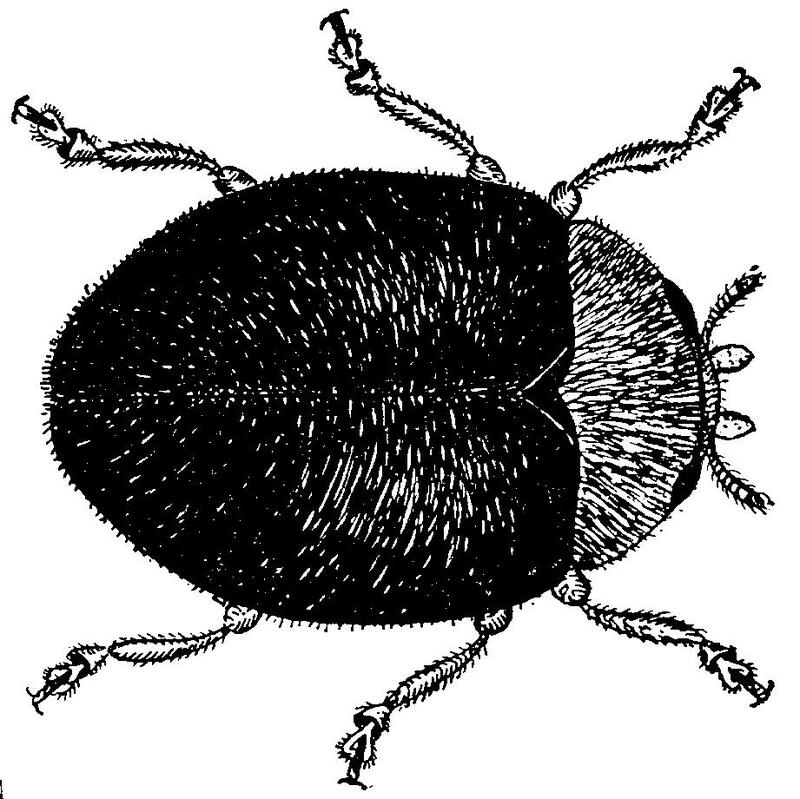 Cybocephalus is more specialized for certain scale. Cryptolaemus eat scale, but need mealybug to lay eggs. Aphytis melinus attacks certain armored scale, but may not attack all species in a family. Use of appropriate species in sufficient numbers in regular releases can suppress or control infestations in two to three months. Then, one to three releases per year should maintain control. Hot Pepper Wax sprays may help clean up some scale problems. Whitefly Biocontrols  General predators used most are Delphastus and green lacewing. Delphastus is introduced early in hot spots. Inoculative releases take 3 weeks to turn a generation that yields 100 times more beetles. Unlike lacewing, Delphastus dont eat parasitized whitefly. Lacewing are more affordable in inundative numbers in regular releases or to maintain control of other pests besides whitefly. Encarsia formosa does best against Greenhouse whitefly (GHWF), Trialeurodes vaporariorum and will attack Bemesia (silverleaf or sweet potato whitefly). Eretmocerus does best against Bemesia, woolly, citrus and bayberry whitefly, and will parasitize GHWF. GHWF adults are white, wings together parallel to leaf surface. Bemesia adults are yellow, wings slightly apart showing abdomen and at an angle to leaf surface. A fringe rings the edge of white GHWF nymphs and no eye spots are visible; Bemesia nymphs are yellow with no fringe, but eye spots are visible. GHWF lays eggs in circular patterns while Bemesia lays its eggs singly. High populations may need to be reduced with Beauveria (Naturalis), soap (Dr. Bronners), neem, or Hot Pepper Wax before introducing biocontrols.